Nineteen communities and organizations, and 35 individuals, recently joined as new Fellowship for Intentional Community members during our year-end fundraising event! Welcome to our shared network of communities and communitarians! New Community & Organizational Members (Dec. ‘18 to Jan. ‘19). Check their listings out in our Directory! Our over 500 members receive cool perks including free digital access to all 180 past Communities magazine issues! Go back in time to see how the communities movement began, grew and prospers today. Members also get 10% off magazine subscriptions and Communities Bookstore purchases. Membership contributions and general donations provide a quarter of our annual budget so we can serve these communities and spread the wisdom of our movement. 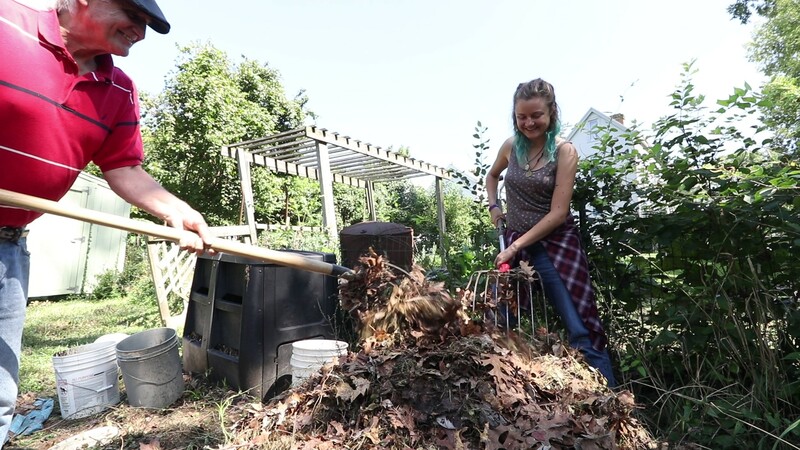 Jim and Leah working the compost pile at Enright Ridge Urban Ecovillage, one of FIC’s newest contributing community members. Check out more about Enright Ridge by viewing episode 3 of Planet Community!